Mitochondria in plants, as in other eukaryotes, play an essential role in the cell as the major producers of ATP via oxidative phosphorylation. 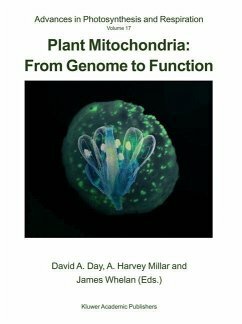 However, mitochondria also play crucial roles in many other aspects of plant development and performance, and possess an array of unique properties which allow them to interact with the specialized features of plant cell metabolism. 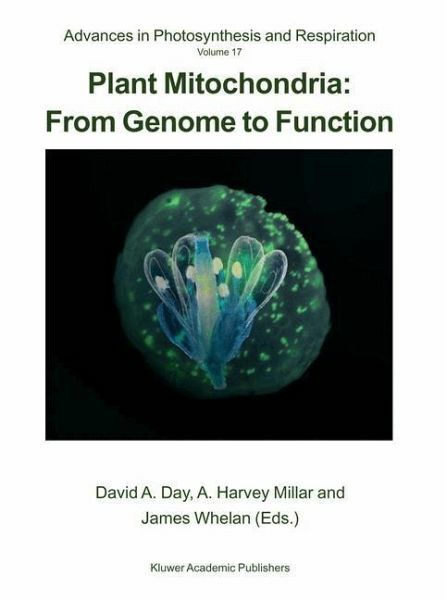 The two main themes running through the book are the interconnection between gene regulation and protein function, and the integration of mitochondria with other components of plant cells.The book begins with an overview of the dynamics of mitochondrial structure, morphology and inheritance. It then discusses the biogenesis of mitochondria, the regulation of gene expression, the mitochondrial genome and its interaction with the nucleus, and the targeting of proteins to the organelle. This is followed by a discussion of the contributions that mutations, involving mitochondrial proteins, have made to our understanding of the way the organelle interacts with the rest of the plant cell, and the new field of proteomics and the discovery of new functions. Also covered are the pathways of electron transport, with special attention to the non-phosphorylating bypasses, metabolite transport, and specialized mitochondrial metabolism.In the end, the impact of oxidative stress on mitochondria and the defense mechanisms, that are employed to allow survival, are discussed. This book is for the use of advanced undergraduates, graduates, postgraduates, and beginning researchers in the areas of molecular and cellular biology, integrative biology, biochemistry, bioenergetics, proteomics and plant and agricultural sciences. David Day hat bereits mehrere Bücher zu Tolkiens Welt veröffentlicht, aber auch mehr als 30 Bücher für Kinder und Erwachsene über Mythologie, Geschichte, über Fantasy und Lyrik. Mitochondrial Structure and Function in Plants.- Mitochondrial Morphology, Dynamics and Inheritance.- Protein Targeting and Import.- Gene Expression in Higher Plant Mitochondria.- Mitochondria-Nucleus Interactions: Evidence for Mitochondrial Retrograde Communication in Plant Cells.- Plant Mitochondrial Genome Evolution and Gene Transfer to the Nucleus.- Mitochondrial Mutations in Plants.- Proteome Analyses for Characterization of Plant Mitochondria.- Alternative Mitochondrial Electron Transport Proteins in Higher Plants.- Regulation of Electron Transport in the Respiratory Chain of Plant Mitochondria.- Plant Mitochondrial Carriers.- The Uniqueness of Tetrahydrofolate Synthesis and One-Carbon Metabolism in Plants.- Photorespiration: Photosynthesis in the Mitochondria.- Roles for Reactive Oxygen Species and Antioxidants in Plant Mitochondria.